Sell your eco-home: Eco-homes and eco-lodges for sale! Eco-homes & eco-lodges make great unique and unusual properties. 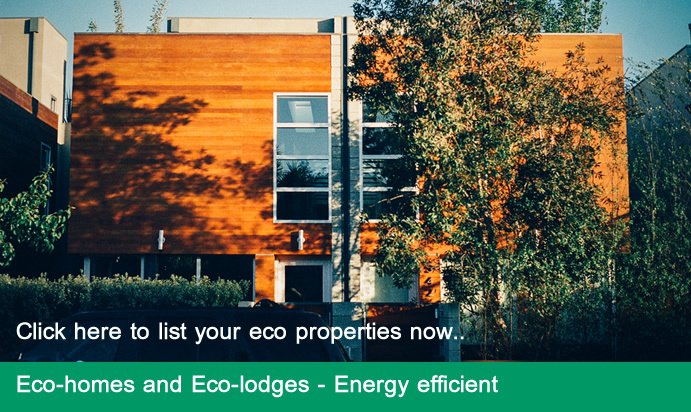 You can list your eco-home for sale or search for an eco-lodge to buy. Smaller eco-lodges are obviously far cheaper, but some are restricted to holiday usage only - however, they can make a nice rewarding break from suburbia and afantastic alternative second home. 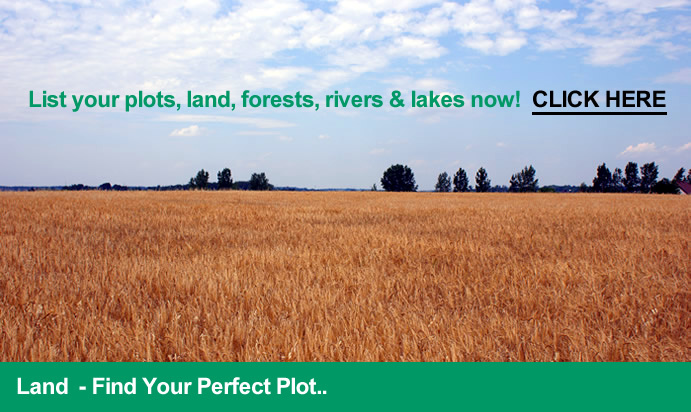 List your investment land, arable land, commercial land, land for equestrian use, forests, river rights, fishing rights, fishing lakes and farmland. 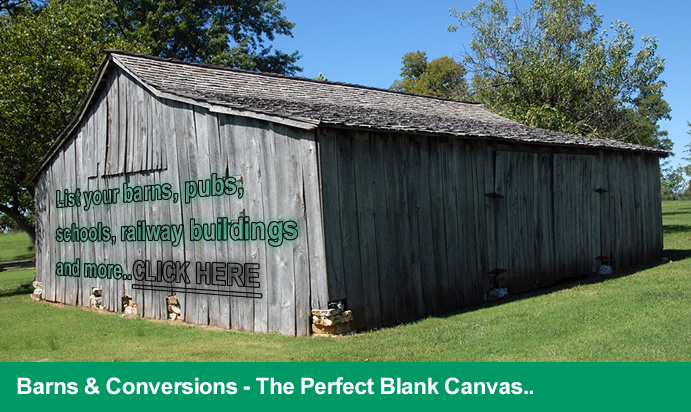 Building land & self-build plots with planning permission, forests, farm and arable land - along with disused brownfield commercial land make superb potential development areas for unusual residential dwellings - either self-build projects or commercial opportunities. There are plenty of things to look out for when buying land for residential development. Firstly make sure you have the funds available, a self-build mortgage or development loan. Make sure you have obtained planning permission/submitted plans, work out a budget and hire recommended tradespeople/project management. 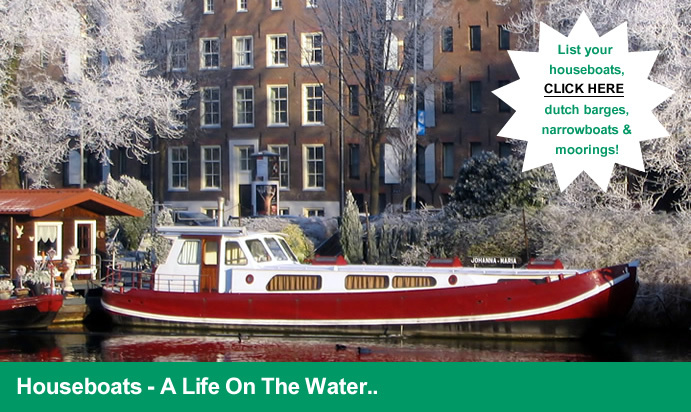 Sell your houseboat, dutch barge, narrowboat, floating home and moorings! It can be hard to find where to sell houseboats, dutch barges, narrowboats, waterside property and floating homes. These intersting homes are a great way to live on a river, canal or estruary. Residential and leisure moorings, even in central London can now be obtained at very good prices (In London even next to Canary Wharf, they are available for approximately £500+ per month). You can list your houseboat, dutch barge, floating home, narrowboat or residential/leisure mooring for sale on UnusualHomes.co.uk or search for a converted houseboat or unconverted barge to buy. Unconverted boats, butties and barges are obviously far cheaper and allow you to put your own mark on - however, they can be a lot of work!